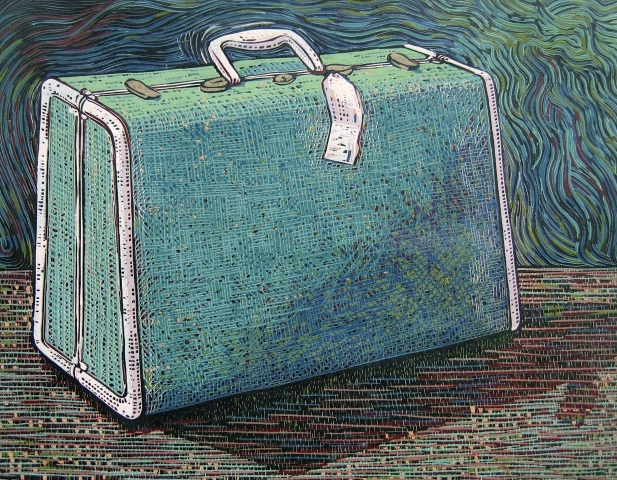 Barry Wilson has been working in the graphic printmaking medium for over two decades. He has exhibited prints nationally and his work is in numerous public and private collections. Wilson holds a Master of Fine Arts from Florida State University. He has taught at Douglas Anderson School of the Arts in Jacksonville, Florida for the last 20 years. Most of his work seems to fit into three major subject matter categories. Animals & Flowers, Old Machines AKA “Deluxe Merchandise” and abstract pieces AKA “Blue Jay Opuscule”. The majority of these pieces are multiple color relief prints.